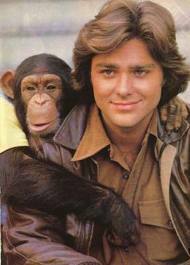 #40 - Greg Evigan: Actor-Singer-Songwriter • Where Hollywood Hides... the home of classic TV, movies, music, & celebrities! Quicklink to Greg’s podcast interview! 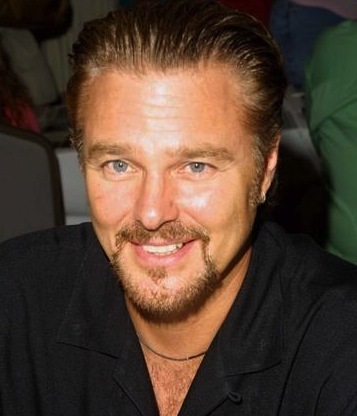 Actor Greg Evigan—best known as the star of the hit TV shows B.J. and the Bear and My Two Dads—reveals a singular talent and a genuine commitment for all things “showbiz” in this engaging and intimate podcast interview. B.J. and the Bear: stardom! Greg shares his experiences as a fledgling actor and singer auditioning for Broadway’s Jesus Christ Superstar while still in high school, and how his off-the-cuff persona of his won him the role of “B.J. McKay” in what would become a major NBC-TV series watched by millions of viewers every week, B.J. and the Bear. A consummate musician and vocalist, Greg wrote and performed the hit TV show theme songs for My Two Dads, P.S. I Luv U, and B.J. and the Bear., and remains a genuine “leading man” with an active performing and recording career. You’ll find inspiration and wisdom as he tells a candid tale of navigating the dynamic Hollywood career landscape. Greg is the ultimate “family guy” actor-singer-songwriter with a great story you won’t want to miss! Download Greg Evigan in his own words!